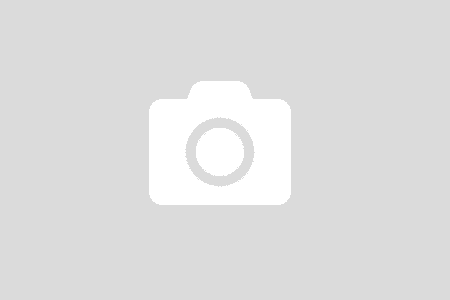 A short post to describe the behavior of a guy on a bike in downtown Spokane the other day. That is, to complain in just the manner I said I’m tired of hearing from people who don’t bike. Could have been any city, really. 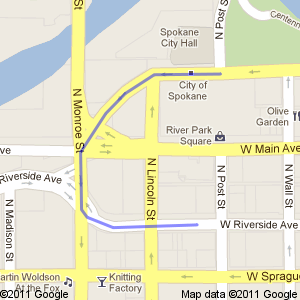 If you’re familiar with downtown Spokane you can visualize this route. Me: Westbound on Spokane Falls Boulevard past City Hall and the downtown library, then south through the funny intersection with Monroe just a couple of blocks to turn left/east on Riverside. This stretch has three traffic lights in quick success: Spokane Falls Boulevard/River Park Square parking garage exit, Spokane Falls Boulevard/Monroe/Main, and Monroe/Riverside. It’s a weird configuration, and I generally advise you to avoid those. I could have switched to pedestrian mode and saved a couple of blocks of riding, but walking is slower and less efficient and I bike because I’m lazy. I was headed to destinations on the south side of Riverside and this was the easiest way. That is, unless you were the guy in the ball cap (no helmet–violation #1 of a Spokane city ordinance) riding ahead of me. Ahead of me on Spokane Falls Boulevard, that is, until he hopped onto the sidewalk (violation #2 of a Spokane city ordinance) at Monroe/Main. He hung a left on Riverside, still on the sidewalk. I hung a left on Riverside in the lane. He rode one block east to Lincoln, where I sat at the stoplight. From there he rode his bike south (against the oncoming one-way traffic) in the crosswalk. This is not illegal under state law, but it’s less predictable for a driver expecting people at a walking pace and it freaks me out to ride straight toward oncoming traffic so I never do this. He passed right in front of me to the southwest corner of the intersection and went up onto the sidewalk again. The light turned green. I rode east in the street. He rode east in the crosswalk and back up onto the sidewalk. One of us was visible at all times to drivers, behaving predictably and consistently. One of us was not. One of us wasn’t potentially threatening pedestrians. Who do you think has a bigger chance of being hit–the rider on the sidewalk, or the rider in the street? Who’s really running a risk, and who would you trust? Don’t Complain to Me! And Get Used to Us. Do you think about whether your riding behavior keeps you visible and predictable for drivers? Do you think about how your riding affects pedestrians? Next post: They Deserved It: Chicked Again. Downtown can be tricky. If you’re gonna do it, do it right! Hey Barb — I’m looking for a particular mural somewhere downtown and since you’re on a bike down there often, you’re more apt to remember seeing such a thing. It depicts girl or guy playing soccer with some graffiti-esque words behind or around him/her. Monroe? Ash? Not exactly sure — have you seen it? I’ve scoured west downtown, Maple Street and around Browne’s Addition.